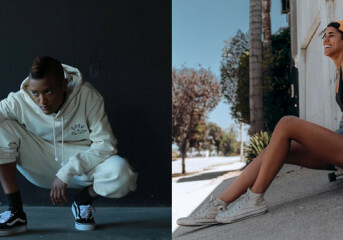 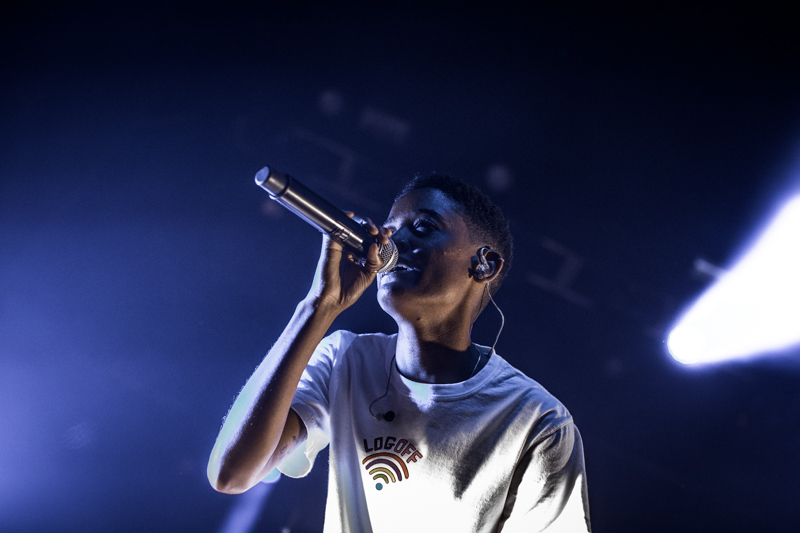 OAKLAND — Los Angeles pop-funk band The Internet stopped at the Fox Theater Monday. 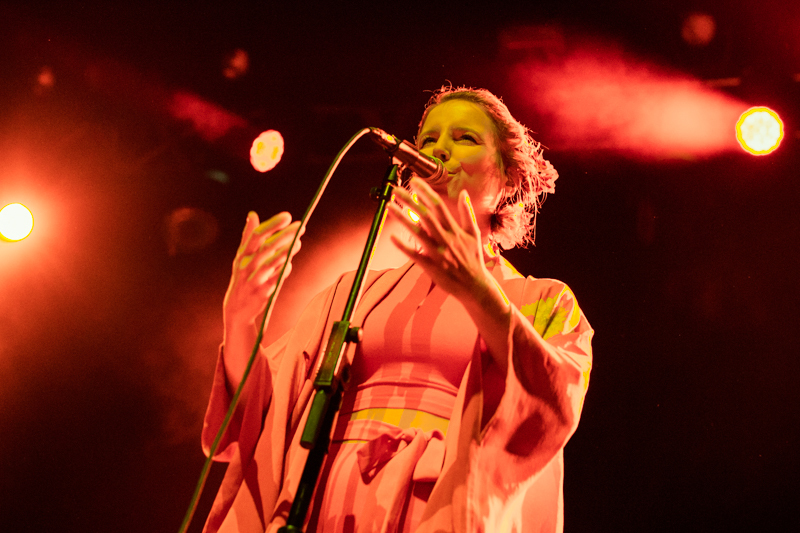 The band is touring in support of its new LP, Hive Mind. 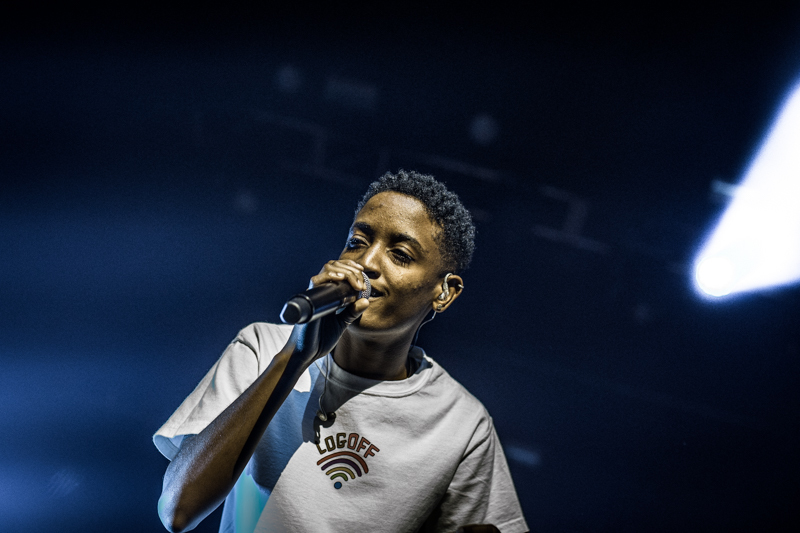 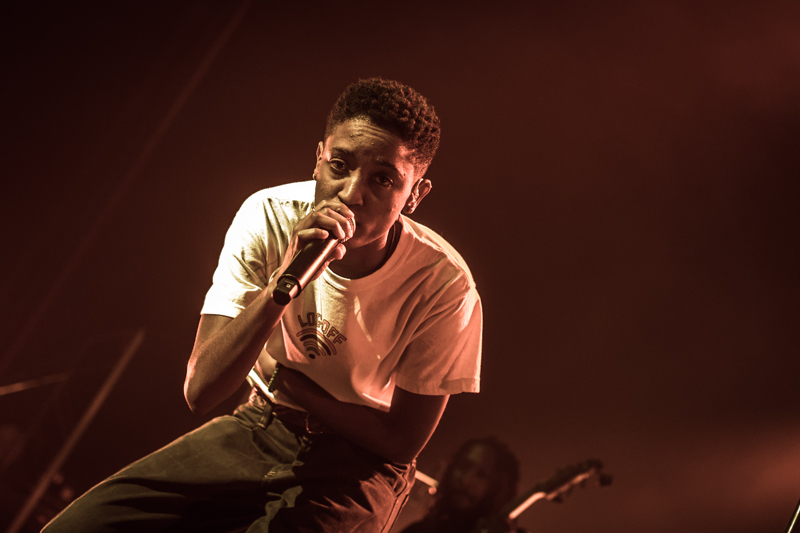 Over the course of a 90-minute set, The Internet vocalist Syd charmed fans with her nonchalant vocal disposition. 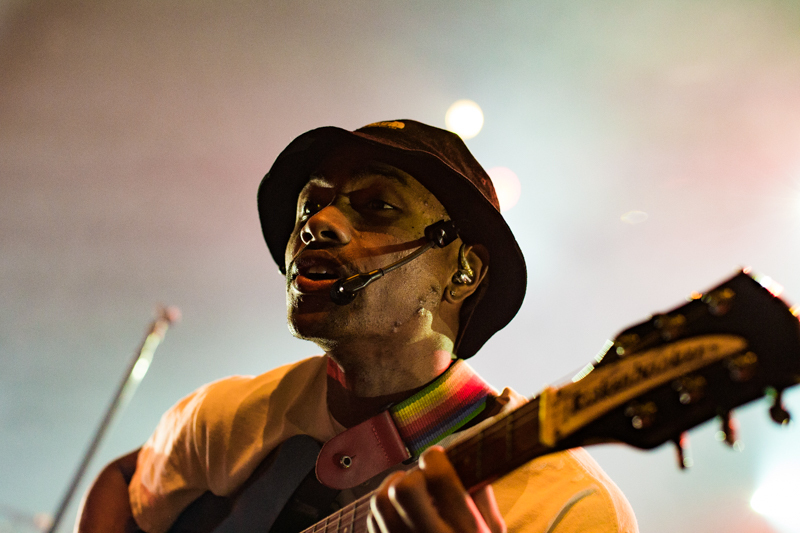 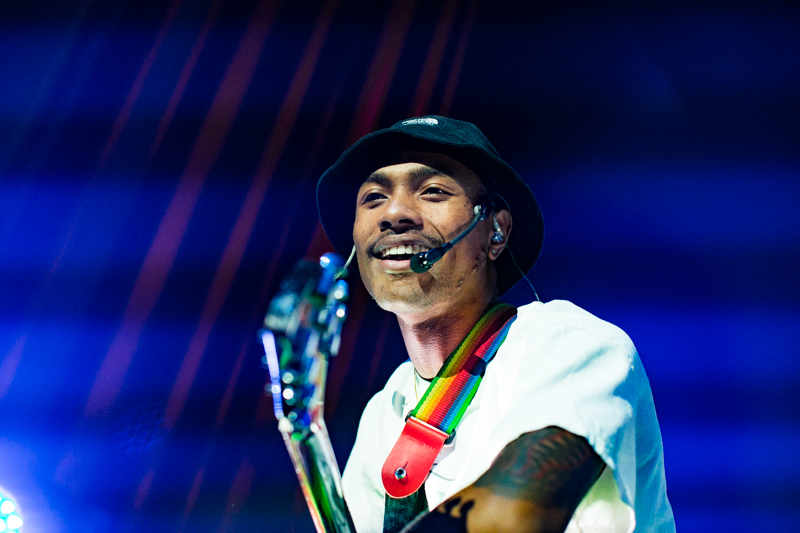 Guitarist-vocalist Steve Lacy added flashes of warmth and texture to Syd’s unique lyrical flow. 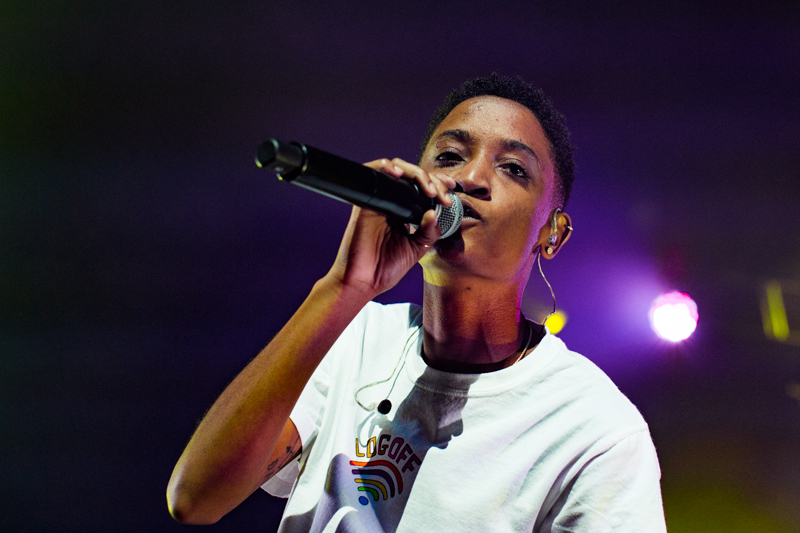 Syd and Lacy were supplanted by keyboardist Matthew Martin, bassist Patrick Paige, Jr., and drummer Christopher Smith, each of whom added a smooth, funky melody and rhythm to each song. 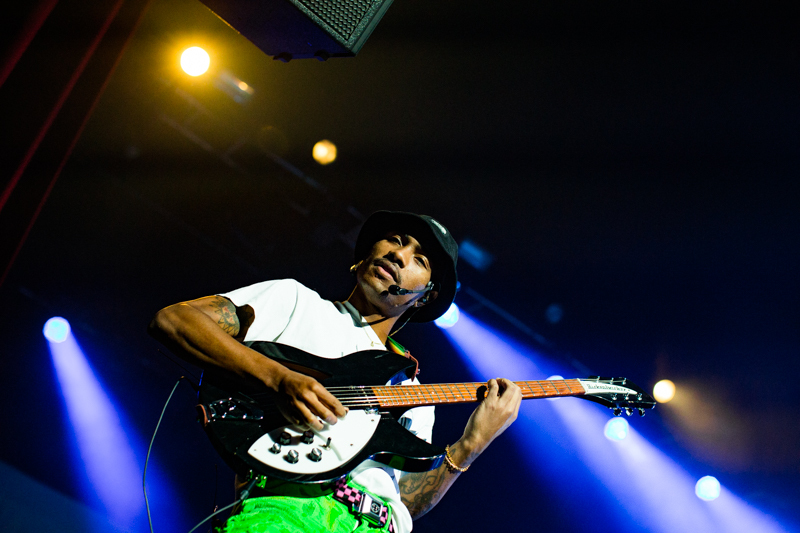 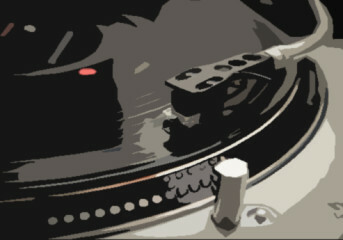 Elements of funk, soul, disco and hip-hop intermingled harmoniously for the duration of the performance. 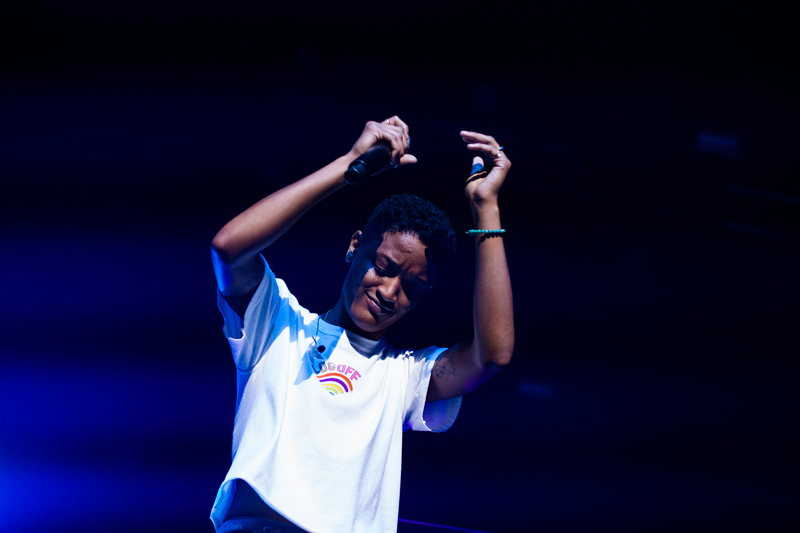 The Internet performs at The Fox Theater in Oakland on Oct. 22, 2018. 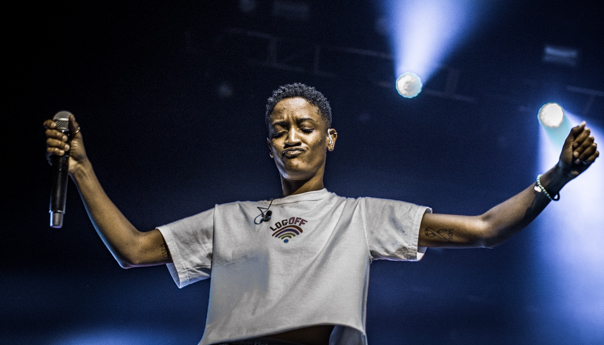 “Let’s dance!” Syd playfully called out to the audience following “Come Together,” the show opener. 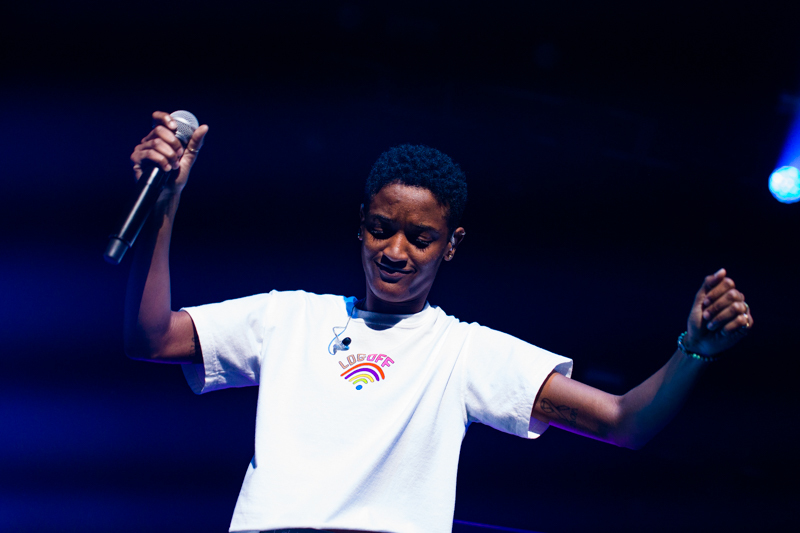 Syd demonstrated her vocal prowess throughout the night, on songs including “Roll (Burbank Funk)” and “Under Control,” hitting angelic high notes with ease. 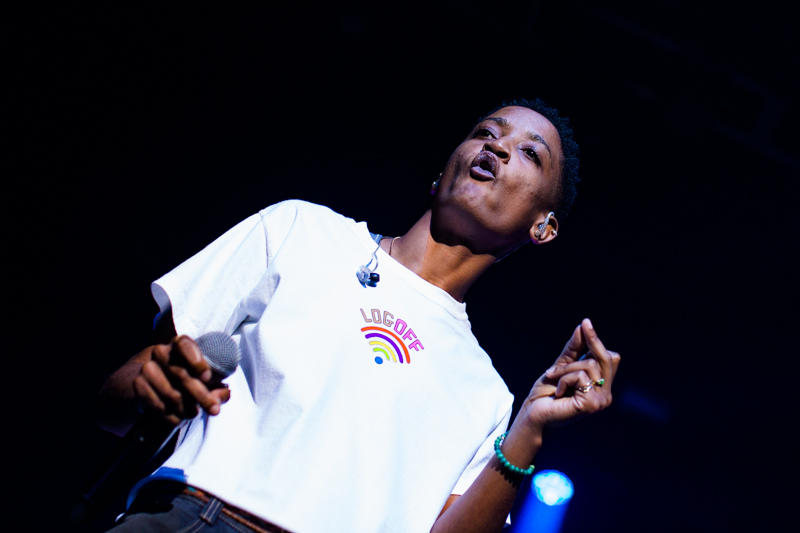 Lacy and Syd’s intimate vocal harmonies and visceral lyricism paired well with Paige’s funky bass lines and Smith’s jazzy percussion. 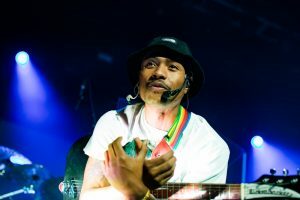 The set included “Special Affair,” off the band’s previous album, Ego Death, and “La Di Da” and “Stay the Night,” from Hive Mind. 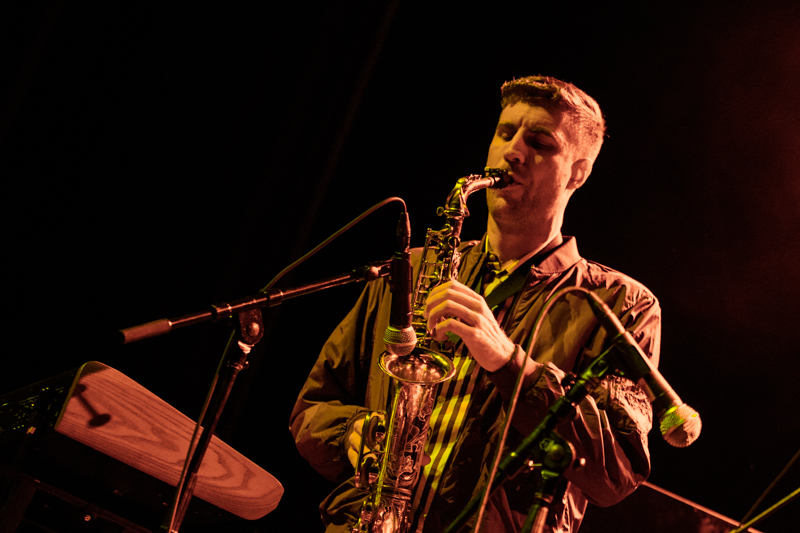 Toward the end of the set, the group brought up a 16-year-old saxophonist to solo with them. 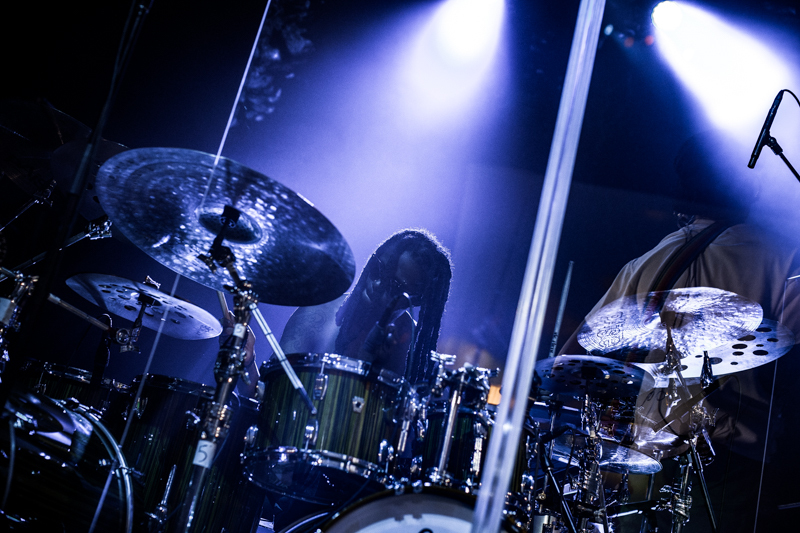 The energy in the room grew rambunctious as Lacy took center stage to sing “Beat Goes On” off of the new album. 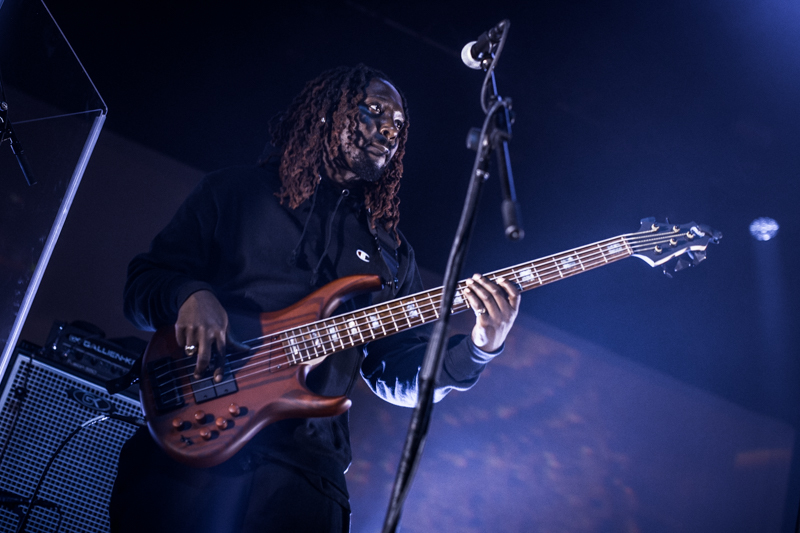 Another standout moment from the show was a technically impressive bass solo by Paige. 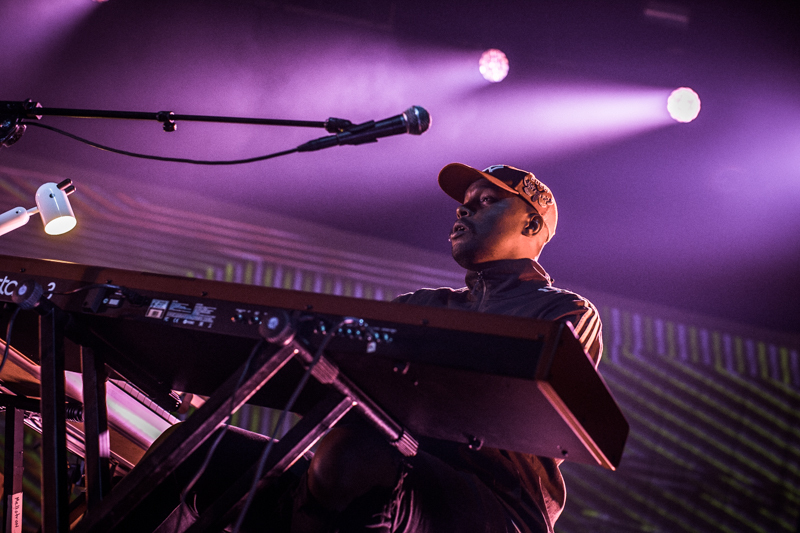 Moonchild performs at The Fox Theater in Oakland on Oct. 22, 2018. 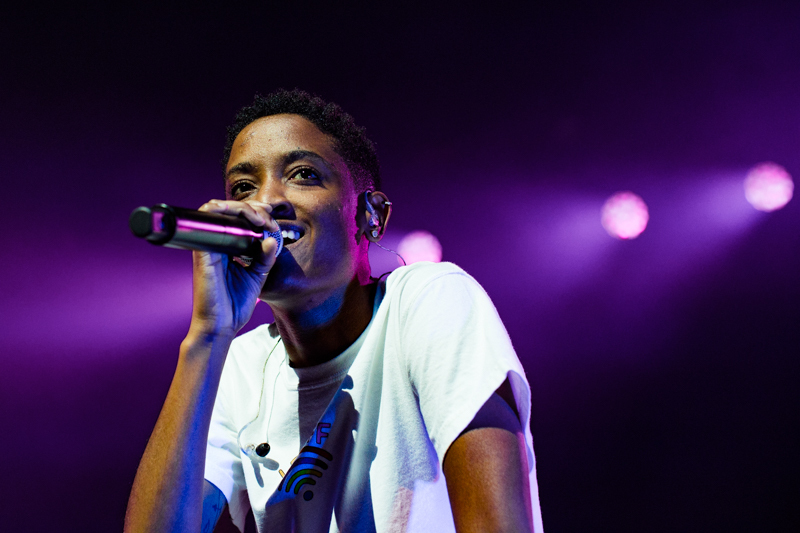 Syd forged a lively presence on the stage, often bantering with fans between songs. 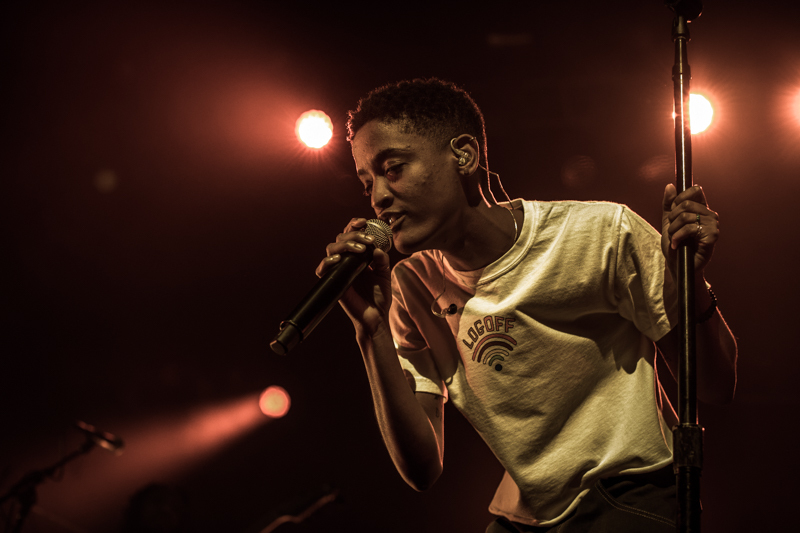 At one point toward the beginning of the concert, someone threw a bra on stage, which Syd promptly hung around the mic stand and left for the duration of the set. 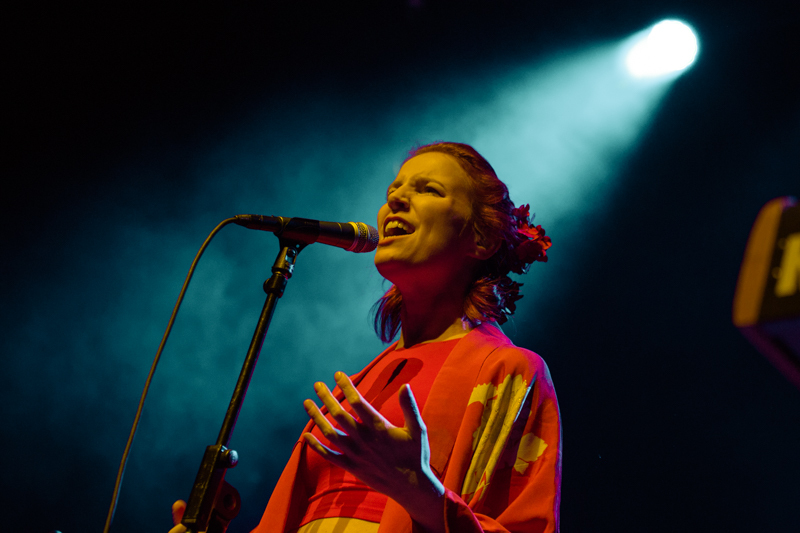 Fellow Los Angeles band Moonchild began the night with catchy, jazz-infused pop ballads. 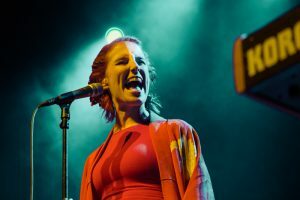 Keyboardists Max Byrk and Andris Mattson, drummer Efa Etorama and vocalist Amber Navran took turns playing brass instruments. 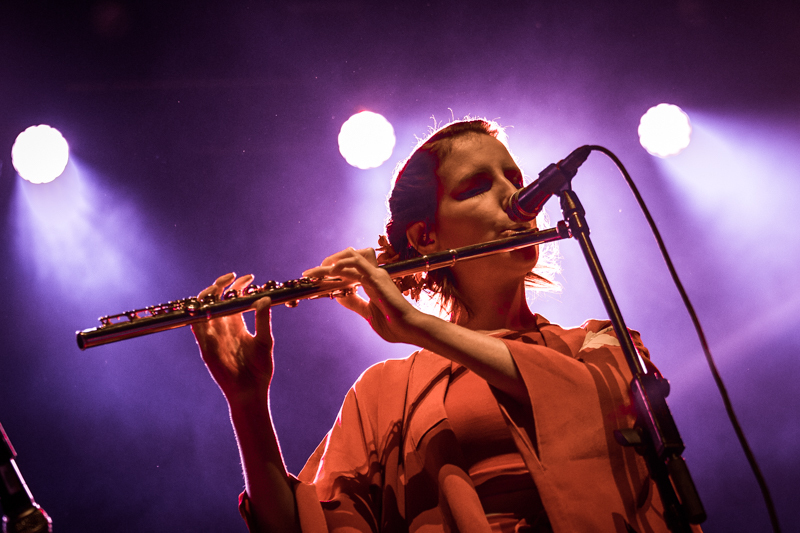 Navran impressively transitioned between singing and soloing on the flute and saxophone. 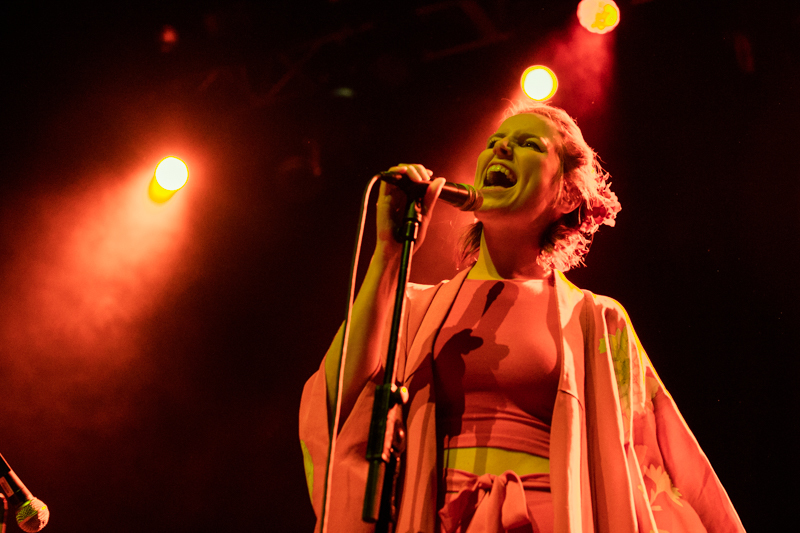 Moonchild’s use of brass added texture and nuance to the sound while also pairing well with Navran’s soft vocal delivery. 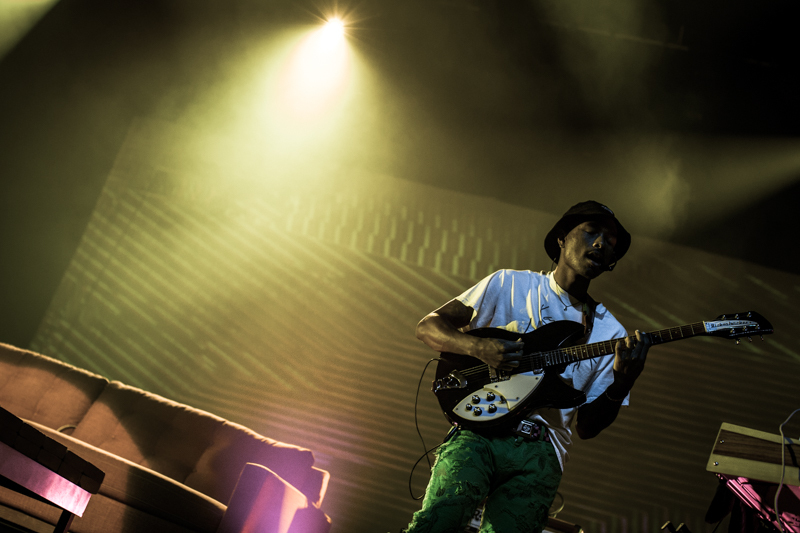 Moonchild performed soulful, delicate melodies while Navran danced about the stage. 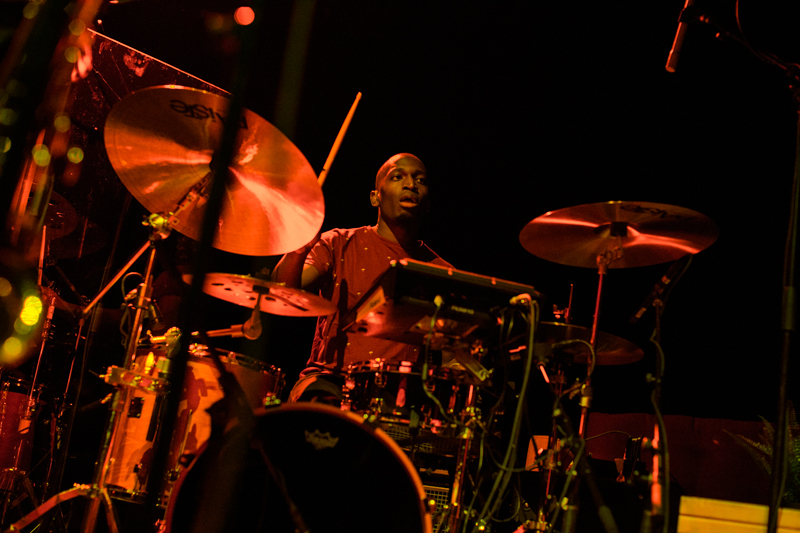 The combination of electronic instrumentation alongside the band’s old school jazz and funk influences gave the group a unique aesthetic.